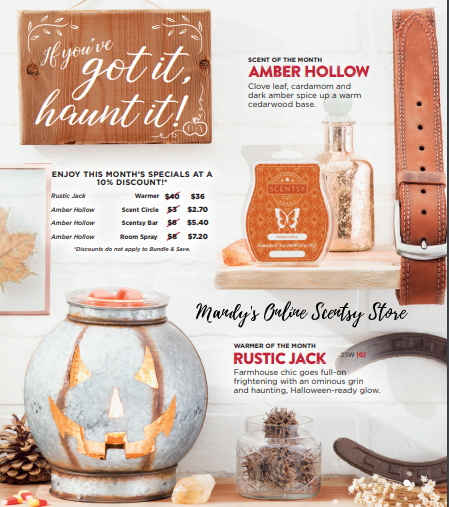 Scentsy Warmer of the Month September 2018: Rustic Jack! Farmhouse chic goes full-on frightening with a Halloween-ready glow. Available to buy online Sept 1st. ON SALE DURING SEPTEMBER 2018 ONLY!